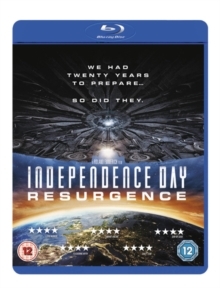 Double bill of sci-fi action adventures from director Roland Emmerich. In 'Independence Day' (1996), massive spaceships are spotted hovering above planet Earth and the world stands watching in awe and wonder. 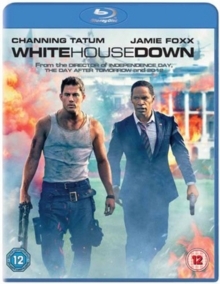 This amazement, however, soon turns to terror as the aliens launch an all-out attack, devastating the planet's major cities. 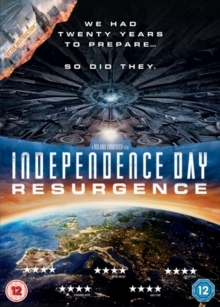 As the Earth's survivors try to come to terms with what has happened, a group of Americans including President Thomas J.
Whitmore (Bill Pullman), fighter pilot Steve Hiller (Will Smith) and computer boffin David Levinson (Jeff Goldblum) decide to fight back. 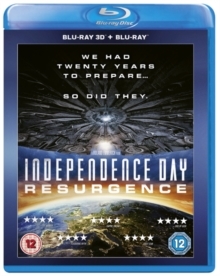 In the sequel, 'Independence Day: Resurgence' (2016), two decades have passed since the alien invasion and the world has pooled together to form Earth Space Defence (ESD), a global organisation designed to protect the planet from any further attacks.